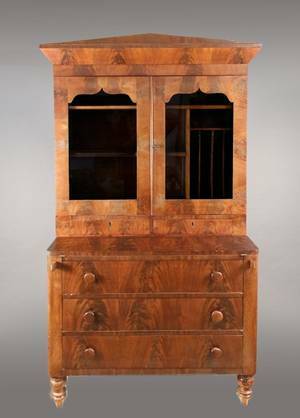 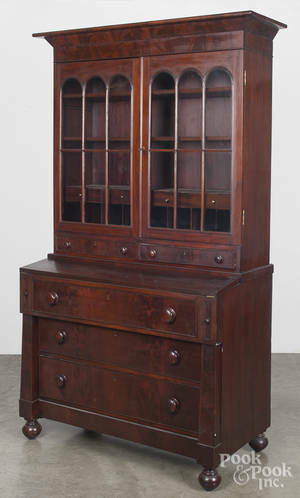 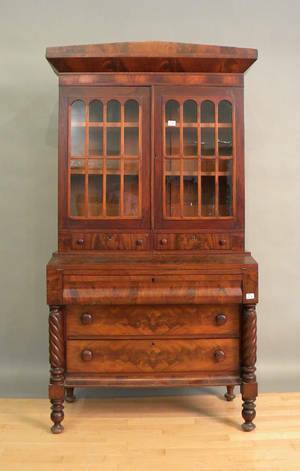 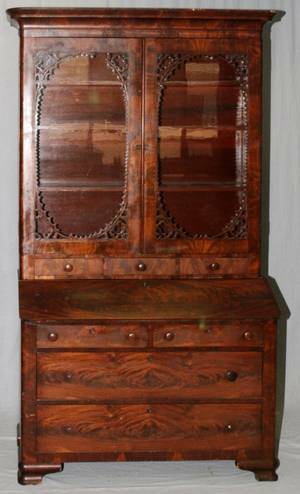 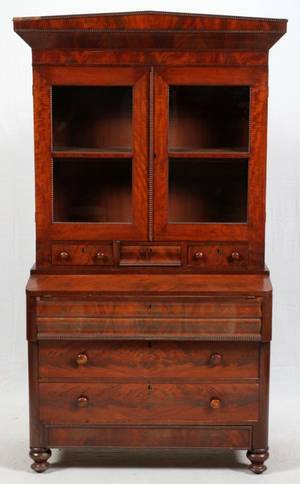 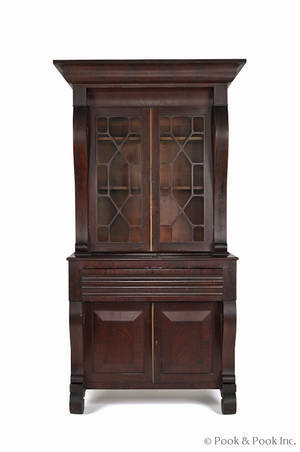 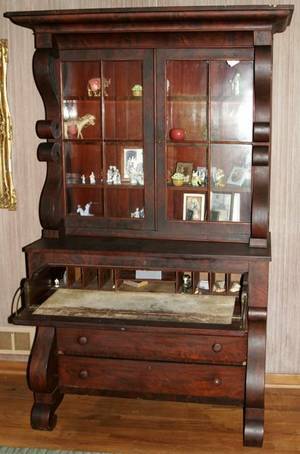 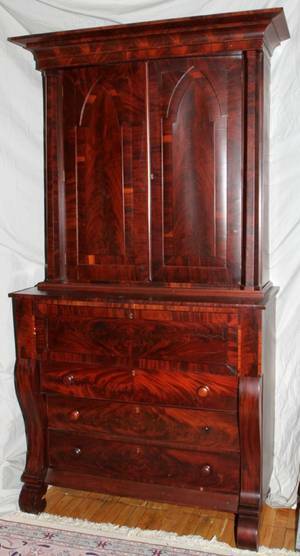 AMERICAN EMPIRE MAHOGANY SECRETARY DESK/BOOKCASE, C 19TH C, H 87", W 52", D 18":with bookcase on top with glass framed doors with pierced lattice work trim opening to three shelves all above three small drawers across the front along with slant top opening to felt top writing surface and cubicles across the back of the compartment. 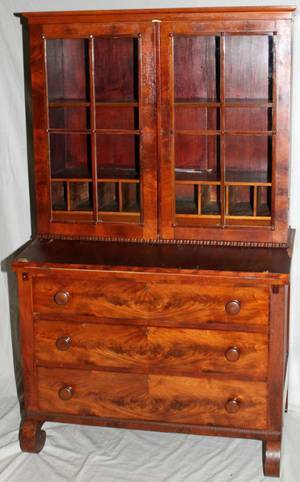 Two half width drawers above two full width drawers across the bottom. 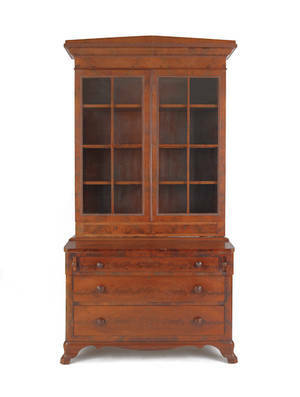 Bracket feet.